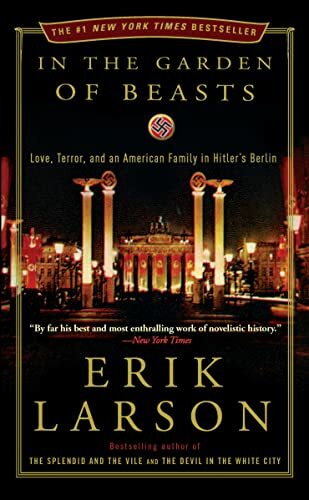 Overview of the books of Eric Larson, critical commentary, interviews, biographical information and similar works in the genre. 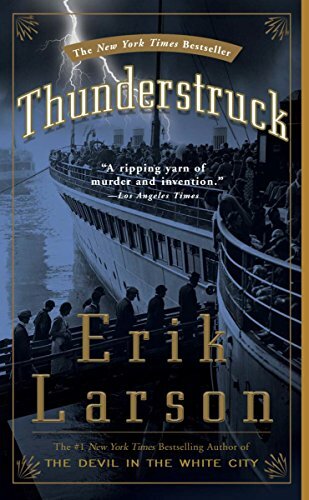 From maritime disasters to a homicidal doctor, a killer storm to Victorian serial killers, Erik Larson specializes in adrenaline-fueled historical narratives. This author of five New York Times bestselling novels, including “In the Garden of Beasts: Love, Terror and an American Family in Hitler’s Berlin,” “Devil in the White City,” and most recently, “Dead Wake: The Last Crossing of the Lusitania,” was the guest of honor and keynote speaker at the Huntsville Library Foundation’s 30th annual Vive le Livre gala on Wednesday, Nov. 16, 2016. Image accessed through https://twitter.com/exlarson, July 21, 2016. 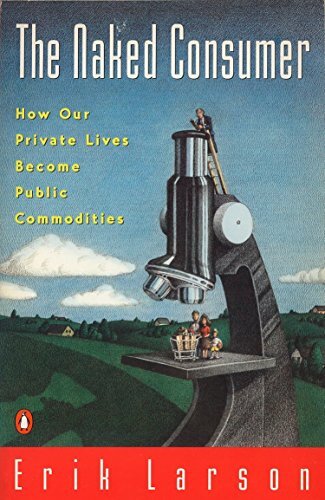 From Library Journal: "Larson, a business journalist, takes a somewhat paranoid look at how market researchers and giant databanks invade our privacy and compile vast amounts of information that could be used against individuals or groups. However, in spite of being studied like bugs, consumers still manage to confound the researchers. While Larson acknowledges that, if marketing campaigns were perfectly aimed, people would receive ads for products that they wanted, and that they might even welcome this attention, the effort to find these customers is viewed as sinister, because of the chance of the wrong people accessing the information. 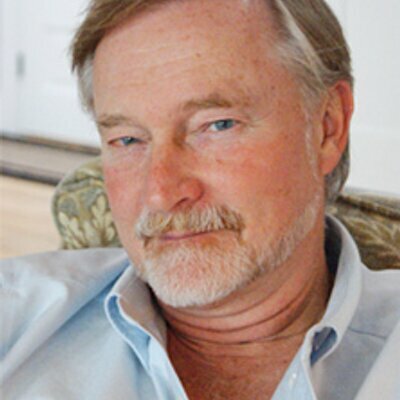 David Duke's candidacy is cited as an example of the danger. Larson also explores and deplores political pollsters' effects on elections. This title might interest both market researchers and the public because of its detailed accounts of ongoing research. It would have appeal in public libraries with business or consumer collections." 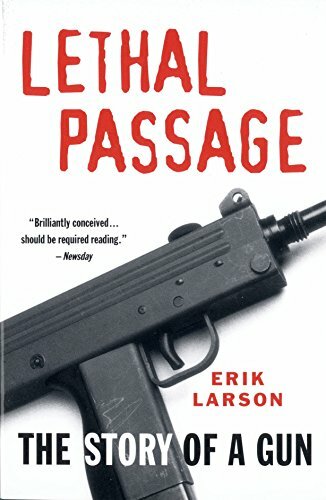 "In this work, Larson interweaves the story of a boy and his gun (a 16-year-old who kills one teacher and wounds another with a member of the infamous MAC-10 family) with a study of the causes and effects of our gun-happy society. He admits that he has no problem with using handguns for sport or even as a last line of self-defense. But he goes on to propose a model bill calling for sweeping changes in laws governing the distribution, sale, and design of firearms. It's a pity that, by producing a reasonably balanced account of an incendiary subject, Larson will probably alienate both the pro- and antigun camps, and his bill, as he acknowledges, "doesn't have a chance in hell of being passed." Highly recommended nonetheless. Previewed in Prepub Alert, LJ 11/1/93"
- Jim Burns, Ottumwa, Ia. From Publisher's Weekly: "Torqued by drama and taut with suspense, this absorbing narrative of the 1900 hurricane that inundated Galveston, Tex., conveys the sudden, cruel power of the deadliest natural disaster in American history. Told largely from the perspective of Isaac Cline, the senior U.S. Weather Bureau official in Galveston at the time, the story considers an era when "the hubris of men led them to believe they could disregard even nature itself." 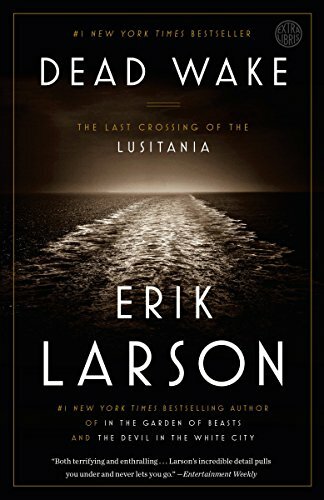 As barometers plummet and wind gauges are plucked from their moorings, Larson (Lethal Passage) cuts cinematically from the eerie "eyewall" of the hurricane to the mundane hubbub of a lunchroom moments before it capitulates to the arriving winds, from the neat pirouette of Cline's house amid rising waters to the bridge of the steamship Pensacola, tossed like flotsam on the roiling seas. Most intriguingly, Larson details the mistakes that led bureau officials to dismiss warnings about the storm, which killed over 6000 and destroyed a third of the island city. The government's weather forecasting arm registered not only temperature and humidity but also political climate, civic boosterism and even sibling rivalries. America's patronizing stance toward Cuba, for instance, shut down forecasts from Cuban meteorologists, who had accurately predicted the Galveston storm's course and true scale, even as U.S. weather officials issued mollifying bulletins calling for mere rain and high winds. 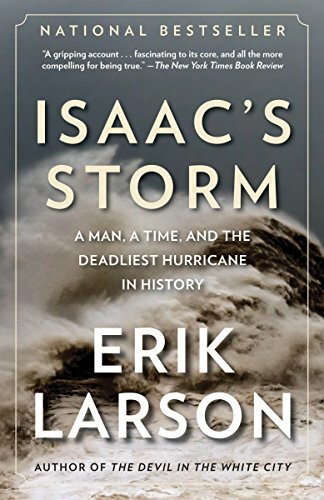 Larson expertly captures the power of the storm itself and the ironic, often catastrophic consequences of the unpredictable intersection of natural force and human choice." 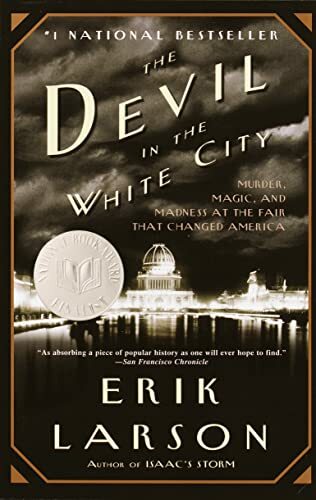 From Publisher's Weekly: "Reviewed by James L. SwansonIn this splendid, beautifully written followup to his blockbuster thriller, Devil in the White City, Erik Larson again unites the dual stories of two disparate men, one a genius and the other a killer. The genius is Guglielmo Marconi, inventor of wireless communication. The murderer is the notorious Englishman Dr. H.H. Crippen. Scientists had dreamed for centuries of capturing the power of lightning and sending electrical currents through the ether. Yes, the great cable strung across the floor of the Atlantic Ocean could send messages thousands of miles, but the holy grail was a device that could send wireless messages anywhere in the world. Late in the 19th century, Europe's most brilliant theoretical scientists raced to unlock the secret of wireless communication.Guglielmo Marconi, impatient, brash, relentless and in his early 20s, achieved the astonishing breakthrough in September 1895. His English detractors were incredulous. He was a foreigner and, even worse, an Italian! Marconi himself admitted that he was not a great scientist or theorist. Instead, he exemplified the Edisonian model of tedious, endless trial and error.Despite Marconi's achievements, it took a sensational murder to bring unprecedented worldwide attention to his invention. Dr. Hawley Harvey Crippen, a proper, unattractive little man with bulging, bespectacled eyes, possessed an impassioned, love-starved heart. An alchemist and peddler of preposterous patent medicines, he killed his wife, a woman Larson portrays lavishly as a gold-digging, selfish, stage-struck, flirtatious, inattentive, unfaithful clotheshorse. The hapless Crippen endured it all until he found the sympathetic Other Woman and true love. The "North London Cellar Murder" so captured the popular imagination in 1910 that people wrote plays and composed sheet music about it. 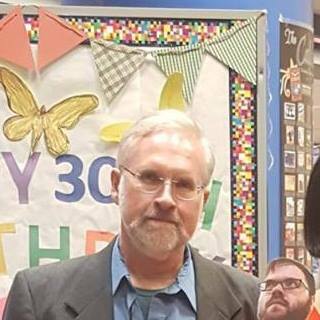 It wasn't just what Crippen did, but how. How did he obtain the poison crystals, skin her and dispose of all those bones so neatly? The manhunt climaxed with a fantastic sea chase from Europe to Canada, not just by a pursuing vessel but also by invisible waves racing lightning-fast above the ocean. It seemed that all the world knew—except for the doctor and his lover, the prey of dozens of frenetic Marconi wireless transmissions. In addition to writing stylish portraits of all of his main characters, Larson populates his narrative with an irresistible supporting cast. He remains a master of the fact-filled vignette and humorous aside that propel the story forward. Thunderstruck triumphantly resurrects the spirit of another age, when one man's public genius linked the world, while another's private turmoil made him a symbol of the end of "the great hush" and the first victim of a new era when instant communication, now inescapable, conquered the world."